, Support ASCII and Modbus RTU Protocol. 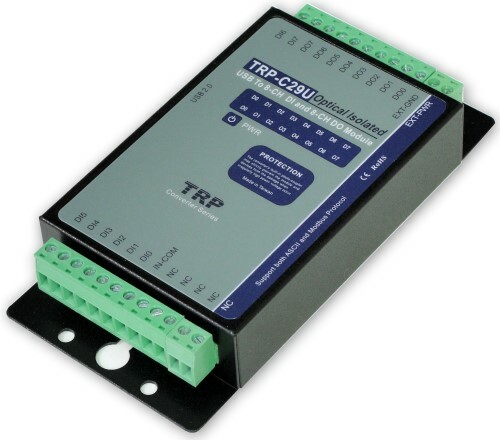 TRP-C29U is USB to serial interface that provides with 8 optical isolated digital input channels and 8-channel digital output open collector. All channel features screw terminals for convenient connection of field signals as well as LED’s to indicate channel status. Input channels are equipped with 3750Vms DC isolation . 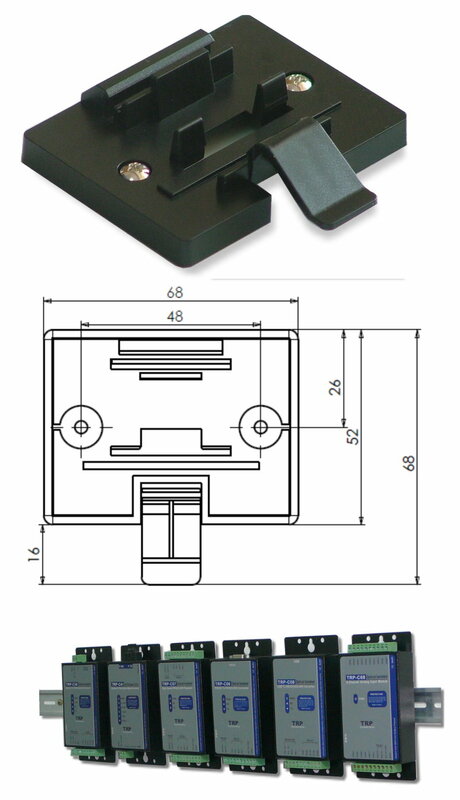 For easy user access, TRP-C29U can enter configuration mode and self-test mode with outer dip-switch. TRP-C29U support both ASCII and Modbus protocol, with a full set of command, dual watch-dog, and auto reset function. the module can be bi-directionally remote controlled by PC in ASCII or Modbus RTU protocol. USB directly power supply input. System get a serial com port when USB plug in. All 8 channels digital input can be used as counter. Driver Support: Android/Win8.1/Vista64/32,Windows 98/ME/2000/XP/WIN 7/CE5.0~7.0, and Linux, and Mac OS . 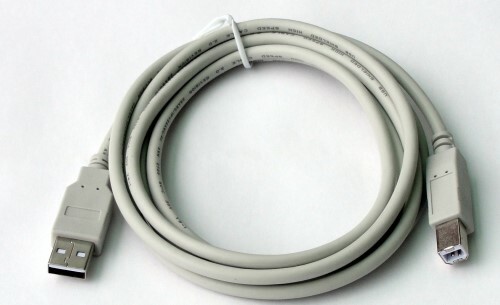 Built-in USB 2.0 to serial bridge. Input logical level 0 +/-1V (max). Power supply: Directly input from USB .